Russian Army White Fake Fur Ushanka Hat with Soviet Army Soldier Badge - Kids, children size. Boys or Girls. With metal badge. 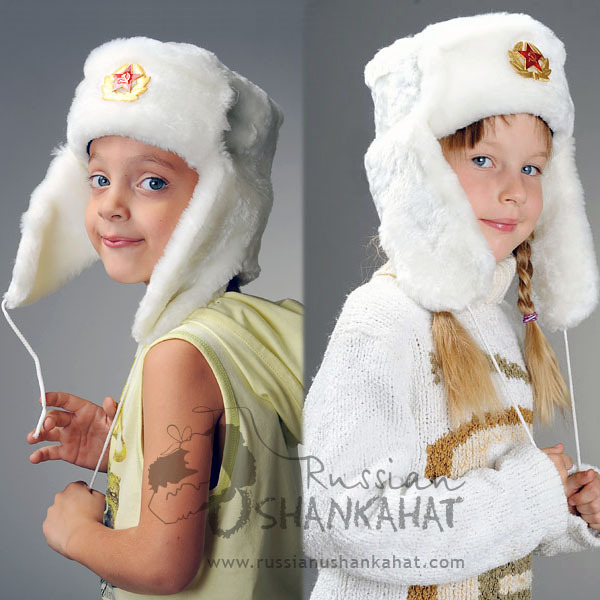 There is no one in the world who has never heard about Russian ushanka hats. These hats are really known all over the world for their design and comfort. 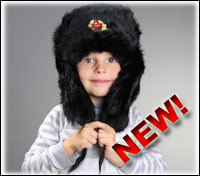 Initially designed for Russian soldiers, today they gain more and more popularity among both young and elder people. But why? No doubt, it is due to their unique construction. 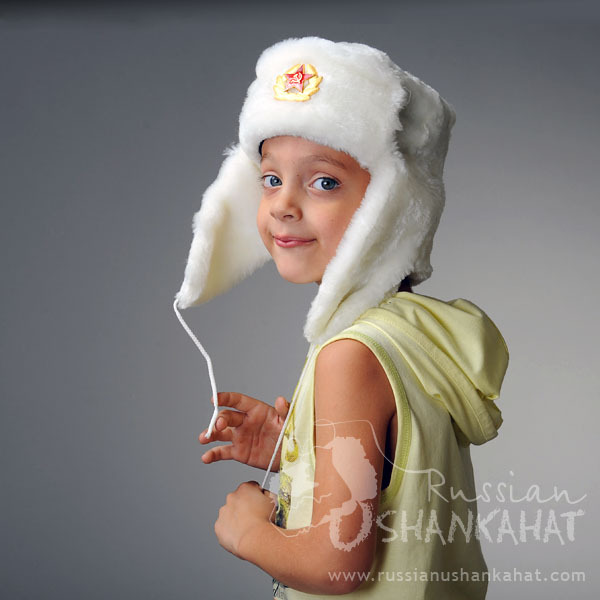 Generally, the word «ushanka» can be translated from Russian as «the one with ears». That means that this unusual head-dress has special ear-flaps, which are initially tied at the top of the hat. When it is cold or windy, you can untie them and lay down, or tie under the chin or at the back of the head. This helps to protect your face, chicks and ears from cold weather and make you feel warm and cosy. It is really a very practical and comfortable accessory which has no analogues. And it is indeed simple but genius invention. 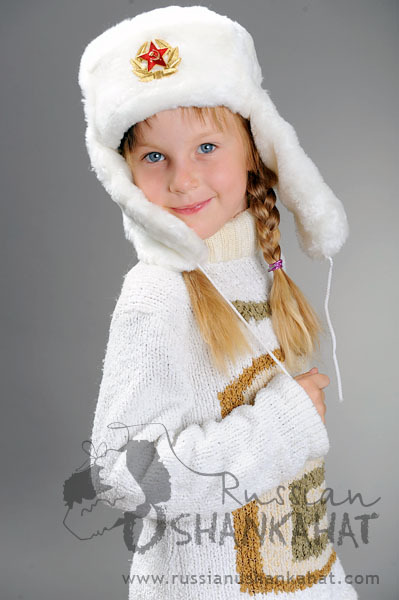 That is why it is not surprising that ushanka hats are popular for about hundred years. Though, the hats similar to ushanka were found even earlier in China and Korea, but real recognition they gained in Russian army, as because of severe weather conditions soldiers needed to stay warm and protected from cold wind in any case. 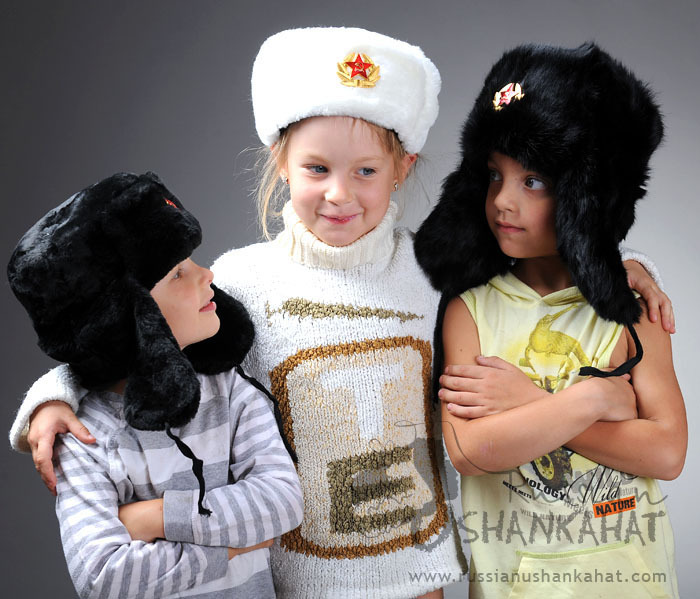 In the US ushankas received their fame after the fall of Soviet Union and «Iron Curtain» which prevented exchange of experience between our countries. 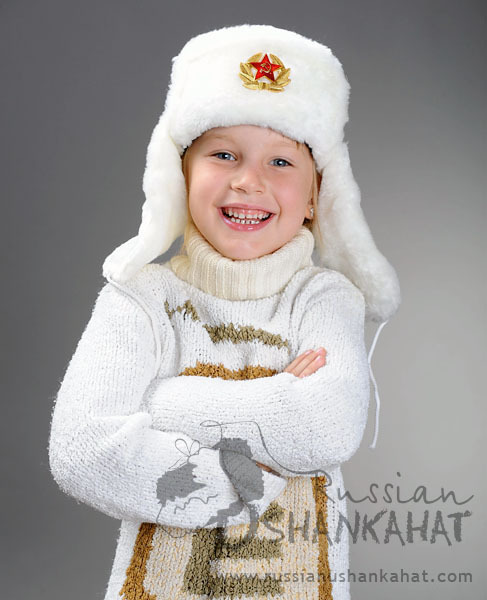 Now there are plenty of forms of ushanka-like hats, but still the classical design of the SU Army officer ushanka remains the most comfortable and stylish accessory for anyone. Made of high quality fur and decorated with a military badge, it will be a great addition to your image or an unusual gift for your friend or colleague!